After a break over the Christmas and New Year period and while some countries were on their winter break across Europe, the Champions League and Europa League return to the schedule this week with the first four Champions League Round of 16 games taking place across Tuesday and Wednesday, while all the Europa League Round of 32 first leg ties will take place this week too, mostly on Thursday evening. British interest in both competitions remains high with four teams still in the Champions League and three remaining in the Europa League, six in total from the Premier League plus Celtic from the Scottish Premier League. It is going to be interesting to see how all six fare in their respective competitions and whether we will eventually see a British team winning one or perhaps both of the big trophies on offer. If you fancy a flutter on either competition this week, or for the remainder of the season, then head on over to bet365 Sport. New customers can sign up with the current bet365 New Player Bonus which offers up to £100 in bet credits once you are signed up and betting with the site. With a massive choice of markets for all games in both competitions, you will never be short of a bet on the big European nights. Let’s now take a look at the fixtures coming up in both competitions. 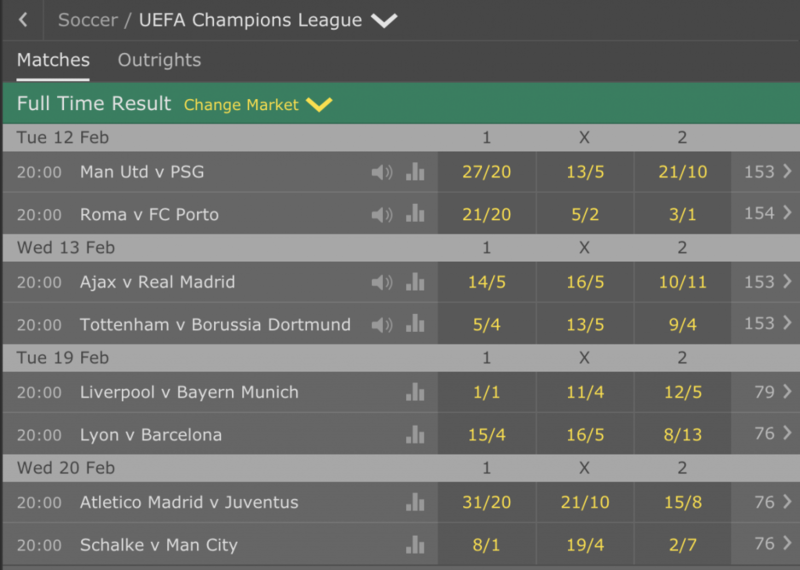 Rather than go through each game, we are going to give you bet365’s odds on each game as of the time of the article, and then bring you the tips we think offer the best chance of success for both tournaments in three different betting categories. Let’s begin with the matches being played Tuesday and Wednesday night’s over the next few weeks in the Champions League. The Champions League Round of 16 will see the eight first leg and eight second leg ties played out over a five-week period starting this week and finishing in March. This allows the Europa League time to play through two rounds of games (Round of 32 followed by the Round of 16) to ensure that both competitions are at the same point from the quarterfinals onward. This fourfold at bet365 would return at the stated odds at 10.29/1, which means a £10 bet, if successful would see you earn a return of £102.90, plus your stake money back. I can see Manchester United winning this game, but I can’t see them keeping a clean sheet even against a PSG attack that could be missing Cavani as well as the already confirmed out injured Neymar. United won’t blow PSG away, the French side are too good for that, but I do feel a 2-1 win is not out of the question. Real Madrid have won the last two games between these teams 4-1, home and away and I think their return to form after some lacklustre displays before Christmas, has come just at the right time. Ajax are a good side as they showed in the group stage but I think Real have too much attacking strength and experience against this young Ajax team. With Lionel Messi regaining his fitness and Barcelona’s much vaunted attack looking to be in decent shape, Lyon will be very worried about the Argentinean’s imminent return. Lyon score a fair few but also concede plenty and while I can’t see a goal-fest in France, I do think the Spaniards will get the lion’s share of the goals scored. Two teams that are built on rock solid defences with a sprinkling of huge talent in midfield and attack, means that I can’t see a game where there’s lots of goals, but I can see both teams scoring. A draw would not faze Atletico and would make the second leg in three weeks’ time arguably one of the most competitive games of the round. We’ve already picked United to win the game 2-1 and with Pogba in electric form in front of goal, as well as being United’s defacto penalty taker and free kick expert, I think he is the wise choice for this particular bet, despite playing in midfield. With one extra set of games to play, the Round of 32 in the Europa League will start this week and conclude next week and then this is followed in three weeks time by the start of the Round of 16, with the 16 winning teams from the ties played this week and next week making the draw. 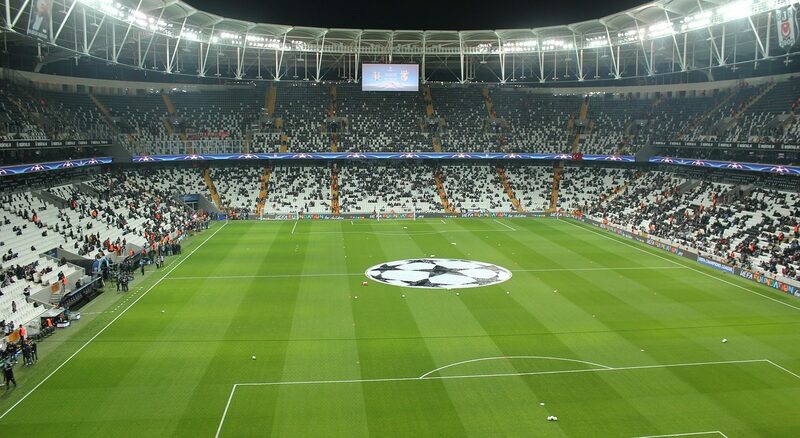 The Round of 32 comprises of the 24 teams that qualified from the Europa League group stage, plus the eight third placed teams from the Champions League group stage. 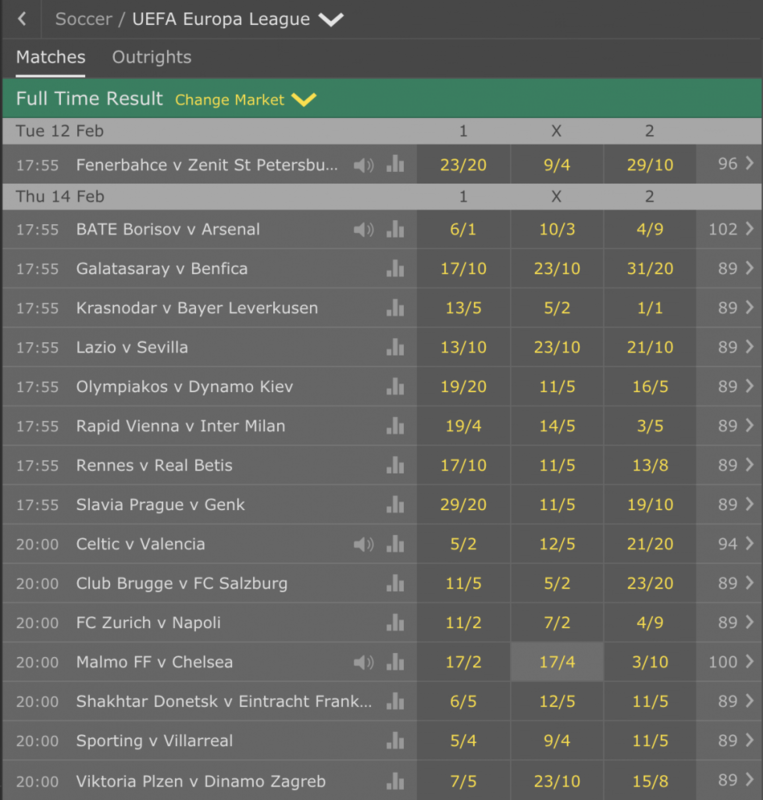 Back this Europa League sixfold bet with bet365 and if your bet is a winner then you would be paid out at odds of 155.43/1, meaning a £10 stake would return £1554.30p. No team has a better record in this competition than Sevilla and even an away trip to Lazio won’t faxe the Spanish side. They are going well in La Liga and I fancy them to get something from this trip against a Lazio side who are talented but inconsistent, especially in Europe. After losing out to Spurs in a place in the Champions League Round of 16, Inter now face Rapid Vienna and a tough game against a decent Austrian side. I can’t see Rapid getting something from this game but it will be tight, hence I am going for a narrow away win. Celtic tend to struggle when they come up against top quality sides in Europe and that is what Valencia are, despite some poor form in La Liga this season. The visitors have produced some fine displays in Europe and I think they are more than good enough to earn a score draw here. Chelsea fans will be demanding a reaction from their team following their 6-0 drubbing at Manchester City last weekend and I feel they will get it here. I don’t expect a thrashing for Malmo, but I do feel Chelsea will secure a comfortable 2-0 win. Aubameyang could be a key man for Arsenal in this game with his pace and I am backing him to grab the opening goal as Unai Emery will go with a strong team to establish a dominant lead from the first leg to make the second leg in London more comfortable.